For decades, American parents have worried about exposing their children to lead paint. Families that live in older houses (particularly those built before 1978, when lead paint was banned from residential use) are careful about maintaining painted surfaces in their homes to reduce the ingestion of lead. Some sources say that lead is often found in houses built before 1986 because of lead being used in household plumbing. And because most of us live in houses we regard as safely lead-free, we've been resting pretty easy. But periodic lead scares bring lead to our attention again. And in our reading and research into lead, we are reminded that the reality is not as rosy as we'd thought. While it's true that lead paint on our children's toys is intolerable, it's also true that many of us live in homes that are not as lead-free as we'd assumed, and that we must take responsibility for removing lead from our lives. Lead (Pb) is often found in older plumbing. Lead pipes and lead soldering were commonly used, once upon a time, and many of our houses still have these fixtures. As time goes on and the pipes deteriorate, this means that lead is seeping into the water that comes out of our faucets. The most common cause of lead in drinking water is corrosion, a reaction between the water and the lead pipes or solder. We can't see the lead, and we can't taste it or smell it either. But we know that lead is a threat, and we need to address it. Lead is toxic. It causes damage to the human nervous system, hearing loss, and can result in stunted growth, low IQ levels, and kidney damage. It has also been associated with reproductive problems. The effects of lead are cumulative. Obviously it is important for us to reduce our contact with lead to an absolutely minimal level - but how can this be achieved? We can try to control the matter of lead paint, but lead in water is much trickier. Water must be tested to establish the presence of lead. 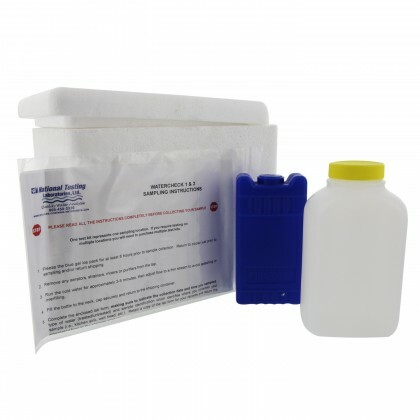 It's simple to purchase a water test kit and tests can be done for little money. 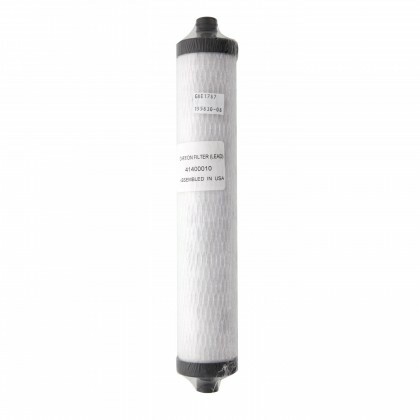 If your water shows significant lead levels, you will ideally want to install a whole-house water filtering system; at the very least, a system installed under your sink will assure you that your drinking and cooking water are lead-free. There are a few basic measures you can take to reduce your exposure to lead through drinking water. The Environmental Protection Agency recommends that, at the very least, you let your faucet run for two or three minutes before taking water to drink or cook with. This gives sitting water time to run through; water that's been sitting on lead in the pipes will accumulate lead particles, and it's safest to let them flush themselves through. Don't ever drink hot water straight from the tap, because it can contains more lead than cold water; the heat lets lead dissolve more easily so it carries lead better. You cannot rid water of lead by boiling it. This will have the opposite of the desired effect: rather than getting rid of lead in your water, you'll end up with a kind of concentrated lead soup. Many people share an understandable concern about wasting water in the lead-flushing process. In the name of environmental awareness, we suggest that old bottles and jugs be used to hold that water so that it can be used for watering plants or dish rinsing or other purposes than drinking or cooking. 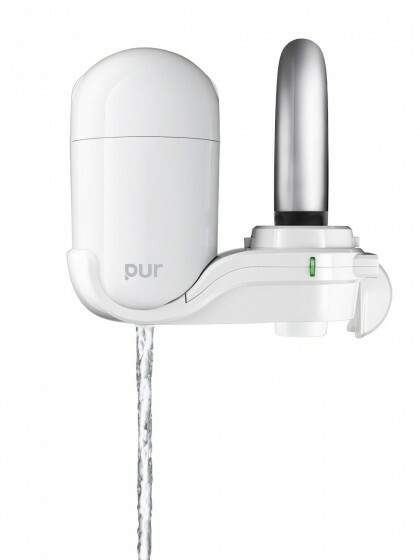 There are many uses for this water, and it is not necessary to let it just go down the drain. For advice on reducing lead in your kitchen or whole-house water supply, please contact the knowledgeable staff at WaterFilters.NET. They will be happy to discuss the matter with you, establish your household's needs, and work to solve your lead problem.